Nothing is more beautiful than sharing holiday memories from long ago. So prepare to conjure up some beautiful memories when you read this heartwarming nostalgia picture book called, Holiday Fun in the Good Old Days, by House of White Birches. 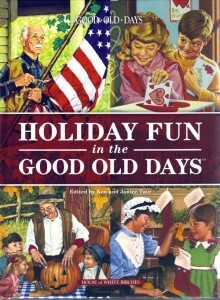 Holiday Fun in the Good Old Days is a compilation of stories about celebrating wonderful American holidays with the most important people of all – family. Edited by Ken and Janice Tate, this wonderful book is an oral history of sorts, gathering funny, heartwarming stories about Easter egg hunts, April Fool’s Day, Halloween, Christmas and much, much more. There are funny anecdotes about pulling the wishbone, watching New Year’s Eve fireworks shows, carving pumpkins, and…well, you name it and this book has it! 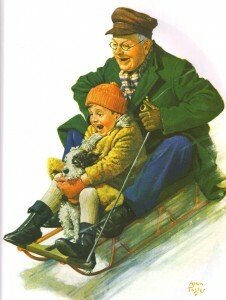 Ever go sledding down a steep, snowy hill with Grandpa screaming in your ear? This book conjures up that sweet, ear-splitting memory, as well as other memories, like Grandpa proudly hanging the American flag on Flag Day, sleepy-eyed Little Sister in her fluffy pajamas, hugging her stocking full of toys and squealing with delight. There are stories about old radio shows, what it was like to make and hand out Valentines Day cards, and what it really felt like to go over the river and through the woods to Grandmother’s house! Yes, the stories are indeed wonderful, but truth be told, the classic and brilliantly beautiful illustrations could stand on their own! Featured are two of the many, many beautiful illustrations you’ll find inside this precious collectible. 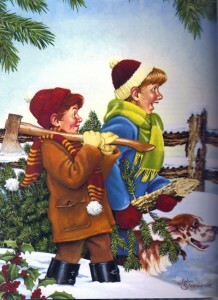 Remember what it was like to trek off into the woods and cut down your own tree? Well, I don’t either…but I do remember watching wonderful old movies about it, and dreaming about what that period in history must have been like. You can’t–and I mean CAN’T–miss out on this keepsake. This is a collectible that can easily and lovingly be passed down from generation to generation as a reminder of the way things were when the world was a simpler place. You can’t buy this book in stores, and although White Birches does have a website (www.whitebirches.com), I find it extremely difficult to find what you’re looking for. 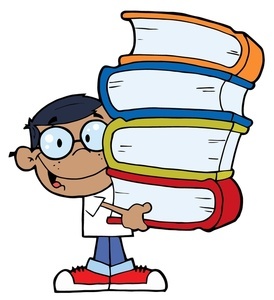 Your best bet is to order this book directly from House of White Birches. 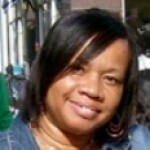 Here’s the telephone number: 1-800-829-5865.